DARIEN — Questions around a town tradition remained largely unanswered at a public hearing for a new Scouts cabin. With the proposal to demolish a Boy Scouts cabin on West Avenue came concerns of the Scouts’ Big Tag Sale, an annual event established in 1972. 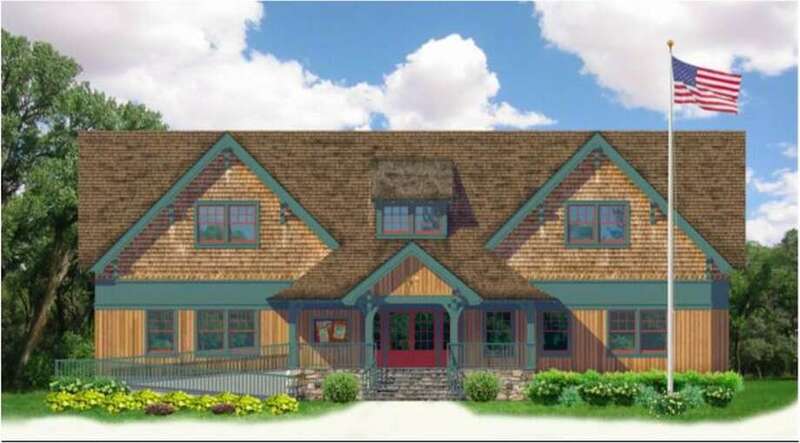 At a Planning and Zoning Commission public hearing Tuesday for the proposed 8,000-square-foot cabin, it was revealed the event’s special permit only allowed eight days for the event to take place. However, neighbors to the cabin said the event could last up to six weeks between the setup period and taking everything down. They also argued in favor of having the tag sale off site. Wilder Gleason, an attorney who represents the Scouts, said the original permit didn’t reflect the tag sale should be off site. Moving the tag sale to another location wasn’t feasible, he said. “There’s this perception that the tag sale has morphed from an eight-day wonder into this behemoth that’s seven to six weeks,” Gleason said. In 1997, Scouts would have three weeks of collection at the Noroton Presbyterian Church’s barn prior to the setup period. Once the barn was torn down, the setup period was moved on site, causing the extended length of time. James Rand, member of the commission, said the Scouts had an eight-day permit, and any reason the length of time changed is unimportant. “That’s not the permit you were given,” Rand said. Commission Chairman John Sini said even if it appears the tag sale has been grandfathered in, neighbors have the right to question it now. Sini said if he was a neighbor and moved next to a Scouts cabin, Scout activities should be expected. However, the commission is dealing with a special event that could be considered outside of scouting. After hearing final thoughts from the public, the commission unanimously voted to close the public hearing on the proposal.